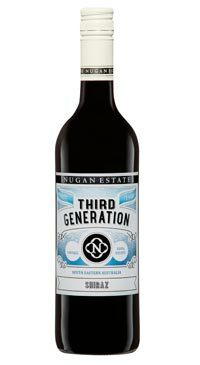 Nugan Estate is the Nugan family’s winery dedicated to producing premium estate grown wines from the family’s vineyards across Australia. Today Nugan Estate owns 590 hectares of vineyards in Australia’s finest wine growing regions of Riverina in New South Wales, King Valley in Victoria and McLaren Vale in South Australia – making them the 18th largest vineyard holders in Australia. In addition, Nugan Estate sources premium quality grape from the renowned Coonawarra region of South Australia. A fruit forward a lightly spicy Aussie Shiraz. This wine offers excellent varietal character at a price you can’t beat.